Les Lyonnaises comfortably qualified for the last-16 of the Coupe de France, on Sunday afternoon with a 6-0 victory over Claix. There was to be no upset on Claix's artificial pitch on Sunday. Against the second division side, Patrice Lair's squad ensure the status quo was respected. After opening the scoring through Laëtitia Tonazzi, they had to wait for the second half to make the game safe with goals to Abily, Heny, Dickenmann, Bussaglia and an own goal. The only negative was the injury to Eugénie Sommer in the first half. The draw for the last-16 will be held on Thursday with the matches scheduled to be played on March 16. 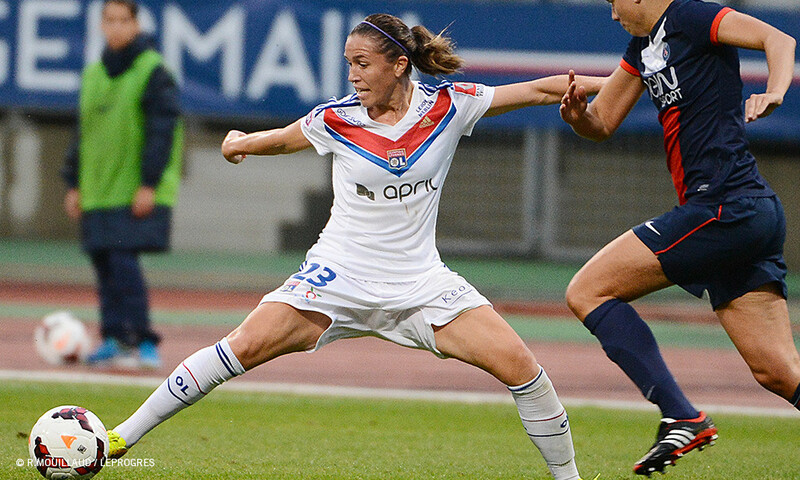 Peyraud-Magnin - Franco (Plaza 61'), Kumagai, Renard (c.), Dickenmann - Busssaglia, Henry, Abily, Necib - Le Sommer (Majri 32'), Tonazzi. Tonazzi (25'), Abily (64'), Henry (65'), Dickenmann, Bussaglia, Own Goal.